Food writer and stylist Rebecca Ffrench comes from a long line of dessert lovers. She fondly remembers the special bonding time her grandparents had over dessert. The smell of fresh baked brownies transports her back into her mother�s kitchen where there was always some kind of foil-covered treat waiting on the counter. And, even today, she rarely lets the week go by without baking something for her family. Just as she remembers her mother�s warm, chocolatey pudding cake more fondly than her Monday meatloaf. 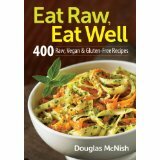 Douglas McNish is an executive chef, cooking teacher and raw food consultant who is passionate about sharing his knowledge about the raw food lifestyle. He has personally experienced the benefits -- he lost 100 pounds in 2 years since embracing the diet. Douglas lives in Ontario. 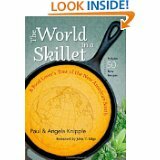 Paul and Angela Knipple's culinary tour of the contemporary American South celebrates the flourishing of global food traditions "down home." Drawing on their firsthand interviews and reportage from Richmond to Mobile and enriched by a cornucopia of photographs and original recipes, the Knipples present engaging, poignant profiles of a host of first-generation immigrants from all over the world who are cooking their way through life as professional chefs, food entrepreneurs and restaurateurs, and home cooks. The street is where you ll find the heart of a cuisine and its culture somewhere among the taco carts and noodle stalls, the scent of wood fires and the hubbub of fellow diners. 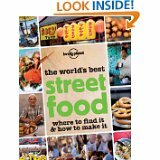 Bring the world 's greatest street foods to your home with this compendium of classic recipes! 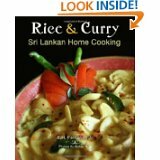 In Sri Lanka a meal is typically referred to as 'rice & curry'--and curries can vary from main dish offerings (meat, chicken, fish, or mutton) to an assortment of vegetable and even fruit curries. Indian, Malay, Arab, Portuguese, Dutch and British influences all left their mark on the cuisine, but indigenous Sinhalese dishes have remained popular in villages for centuries. 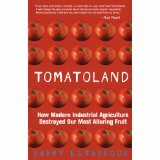 This beautifully photographed resource includes mouthwatering recipes for soups, starters, meat, poultry, vegetables, starch and desserts, such as Minted Pea Soup, Curried Lamb, Zucchini Salad with Cherry Tomatoes, Braised Spring Greens, Risotto with Lemon Shrimp, Dhal, Chocolate Cake and Poached Peaches. 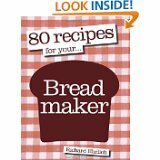 In 80 Recipes for Your Breadmaker, Richard Ehrlich's inspired recipes begin with the classics such as White, Rye and Sourdough. Next try your hand at flavored breads such as Basmati Rice Bread, Goat Cheese and Sun-dried Tomato Bread, Saffron and Paprika Bread, and Focaccia with Potatoes and Rosemary. Sweet breads round out the book, such as Maple and Ginger Cakebread and Chocolate Marmalade Marble Cake. 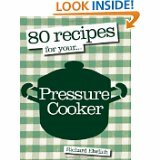 As an extra bonus Richard also provides a chapter of unexpected recipes, ones you probably never thought your breadmaker was capable of making, including Meatloaf, Chicken Soup and Polenta! Making healthy foods kids will love is a challenge for many busy parents. 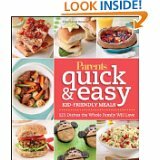 In Parents Quick & Easy Kid-Friendly Meals, the editors of Parents magazine offer 125 simple, nutritious recipes for every meal of the day, as well as snacks, drinks, and treats. 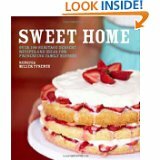 This book provides just what you need to make mealtime fuss-free and satisfying. 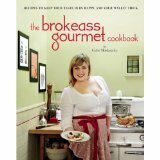 BrokeAss Gourmet is the premier food and lifestyle blog for folks who want to live the high life on the cheap. The blog features recipes that are always under $20, along with great advice on inexpensive but delicious beers, wines, and cocktails, plus other topics relating to the BrokeAss Gourmet lifestyle. The site and its vivacious founder, Gabi Moskowitz, have garnered thousands of followers and received national publicity, including being featured on MSN Money and Time.com. Gabi has also contributed several videos to �Appetites,� the number-one food app on iTunes.